Coral Bay is a small town on the coast of Western Australia, 1,200 kilometres (750 mi) north of Perth. The main industries are tourism and fishing. The electricity for the town is provided by a wind-diesel hybrid system. Coral Bay is a beautiful spot on the southern end of the Ningaloo Reef - just south of Exmouth on the West Australian coast. There is a great holiday feel about this place and we found it very relaxing - everything is within walking distance. The two caravan parks at Coral Bay are very busy during school holidays so make sure you book. You just walk off the beach to go snorkeling in the warm clear water and just around the point are some wonderful fishing spots. Ask the locals for some great advice on where to go in order to view the shark nursery (reef sharks of course) from the sand hills. We went on a 'Swim with the Manta Ray' tour with Eco Tours and had a great day. This tour stops at several locations on the reef for you to snorkel and see the varied sea creatures including reef sharks and turtles as well as beautiful tropical fish. A spotter plane overhead helps the captain and crew find the manta rays - restrictions apply as to how many people can be in the water at any one time swimming with these amazing creatures. Eco Tours make sure that everyone wishing to swim with the Manta Ray has ample opportunity. I would recommend this trip as it was very informative and great fun - morning tea, and lunch are provided and it is a really wonderful day out. All the drinking water in Coral Bay is desalinated and there are taps available at each caravan park to fill water bottles and containers. You are advised to fill the water tanks in the caravan before you arrive at Coral Bay. The Visitor Information Centres at Exmouth and Carnarvon have facilities available. (Apparently you can pay for water at the Bayview Caravan Park if you want to fill caravan tanks in Coral Bay - not sure of the charge). The caravan site water is artesian bore water and not suitable for drinking or cooking. It is safe for washing dishes and showering in - but some people prefer not to run it through the hot water systems, and use the showers in the ablutions block (the Peoples Park has fresh water showers). We had been warned by fellow caravanners not to run this artesian water through the hot water system as it is too salty - great advice. have you been to Coral Bay? Coral Bay had one of the best beaches I had ever seen! I grew up on a coastal town and thought we had the best beach but I was wrong. More reason to go travelling!! It was a cute little town and had a very relaxing vibe to it which I love. The fish feeding on the beach was awesome and these huge fish (don't know what type, sorry!) were swimming in and out of your legs trying to find the pellets you dropped into the water - Brilliant! The coral was only metres from the shore and you could become mesmerised for hours watching the sea creatures and fish go about their normal activities. I can not wait to go back here! 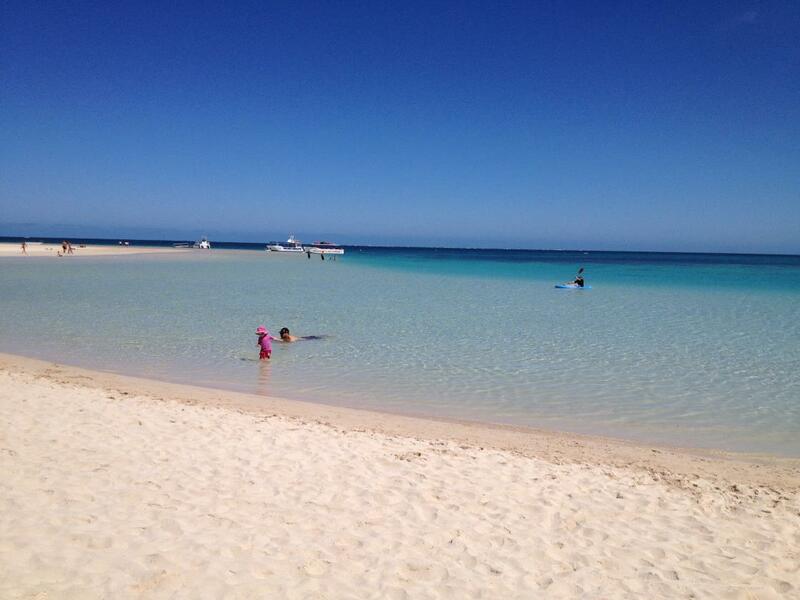 Coral Bay WA - comments & tips by RvTripsRvTripsCoral Bay had one of the best beaches I had ever seen! I grew up on a coastal town and thought we had the best beach but I was wrong. More reason to go travelling!! It was a cute little town and had a very relaxing vibe to it which I love. The fish feeding on the beach was awesome and these huge fish (don't know what type, sorry!) were swimming in and out of your legs trying to find the pellets you dropped into the water - Brilliant! The coral was only metres from the shore and you could become mesmerised for hours watching the sea creatures and fish go about their normal activities. I can not wait to go back here! Explore Coral Bay with RvTrips and find out where to stay, what to do and what to see. Helping caravan, motorhome and camper owners have a great holiday.